They are scenes from a world at war, a unique bird's-eye view from which death and destruction are diluted by great distance. An aircraft propeller beats high above boats criss-crossing the English Channel on the morning of the D-Day landings at Normandy. 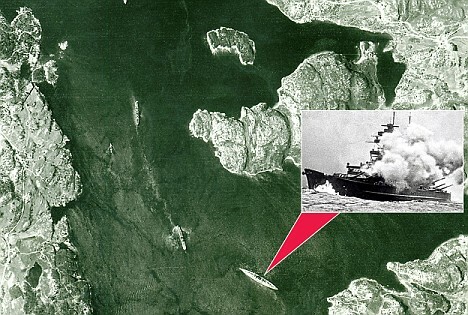 In another, the battleship Bismarck lies at anchor, its crew unaware that a photograph taken high above will, within days, lead to their deaths. And, from such a height above Clydebank, it is difficult to appreciate the destruction of an entire community. The pictures are just a few of millions of images being brought to Scotland to create the world's largest collection of its kind. The Aerial Reconnaissance Archive - known as Tara - contains 10million photographs taken by surveillance aircraft during the Second World War.